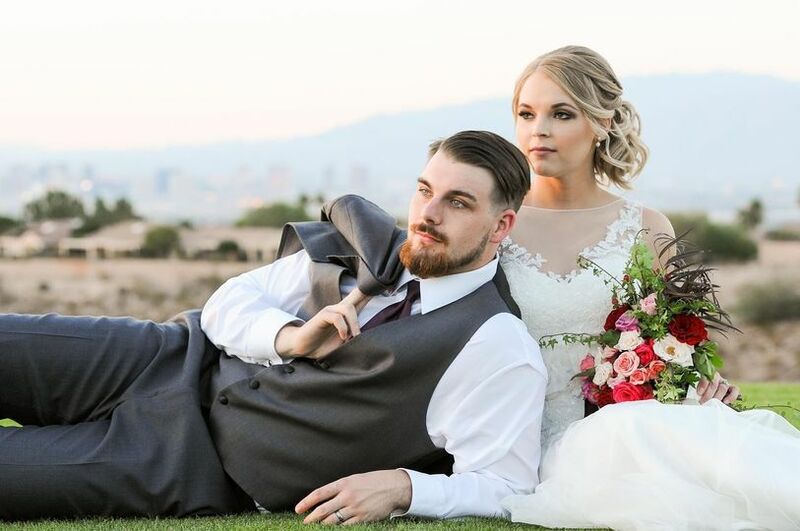 Las Vegas Wedding Gown Specialists, based in Henderson, Nevada, is a non-profit trade association of speciality wedding dress cleaners. 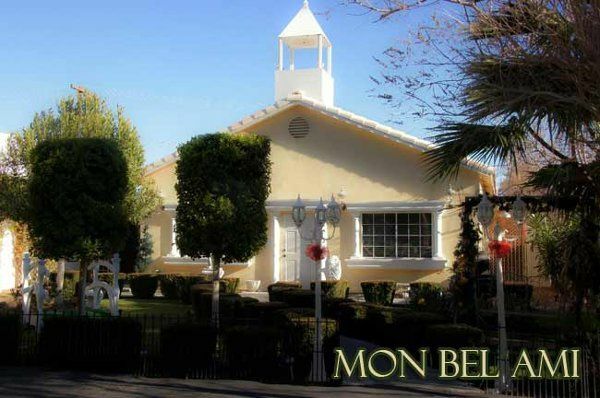 The company offers a number of locations throughout the Las Vegas areas, all of which provide robust on-site tailors and seamstresses. The company endeavors to help brides savor the precious memories contained in their wedding dresses, working to restore or preserve dresses. In pursuit of complete customer satisfaction, all of the company’s locations offer both scheduled and walk-in tailoring. Mary did absolutely amazing work ! Not only did she alter my gown for me but also my bridesmaids and 2 flower girls dresses ! They were beautiful ! Definitely coming for any and all my dress needs ! Thank you Mary !!! 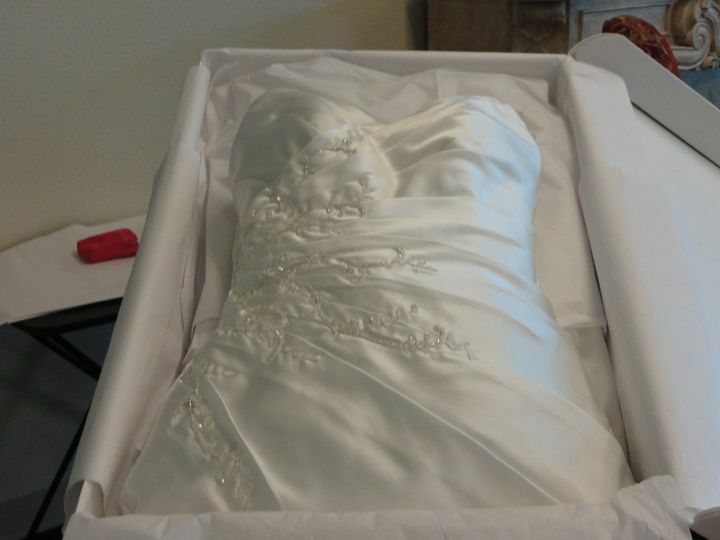 Las Vegas Wedding Gown Specialists made my 20 year old wedding gown look brand new. My husband and I decided we were going to renew our vows next year, so I decided to pull out my wedding gown that has been hanging in the back of my closet for the last 20 years to see if it would still fit so I can wear it. Well, the dress fit. Now keep in mind, it was never cleaned nor preserved in a box after our wedding. It was just hung and forgotten. Except for my dog, which decided to pee several times on the bottom of the dress. So, not only did the dress yellow, there was dog pee stain on the bottom of the dress. Eddie, the owner, assured me that his staff can make the dress look brand new again. And indeed, they worked their magic! Well, Las Vegas Wedding Gown Specialists not only took out the yellow that the dressed turned by just hanging for the past 20 years, but it also removed completely the 20 year old dog pee that I thought had permanently ruined the dress. I was expecting just to shorten the dress to cut out the pee stain part because I thought the pee would never come out. 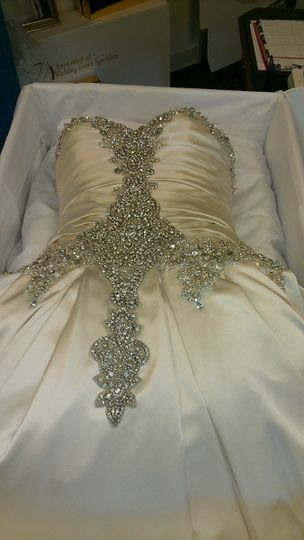 I cannot brag enough about what Las Vegas Wedding Gown Specialists did to my dress. 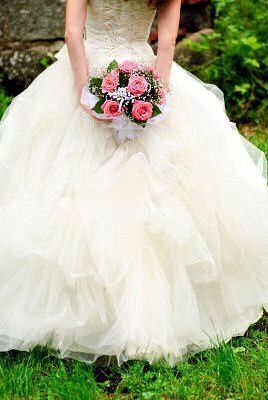 I can not believe I will now be able to wear my dress, unaltered, when we renew our vows. 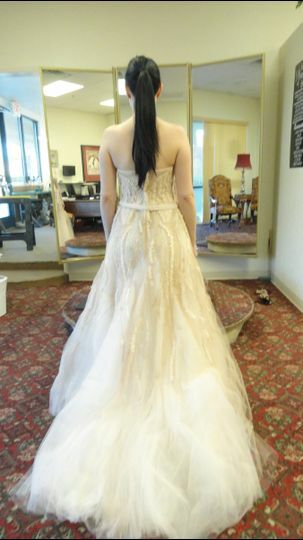 Thank you so much Las Vegas Wedding Gown Specialists and Eddie. You have made me so happy. You are definitely the best of the best! 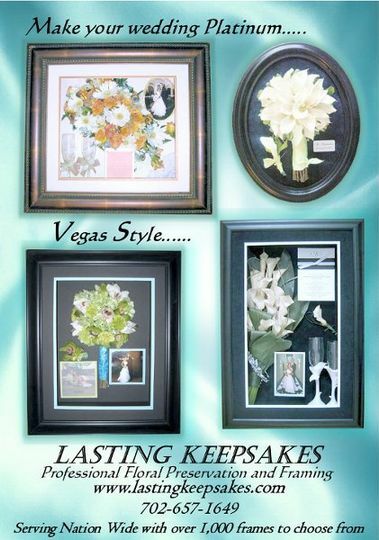 I was super impressed with Las Vegas Wedding Gown Specialists. My dress had travelled from the UK and around the US for two weeks before I reached Vegas. 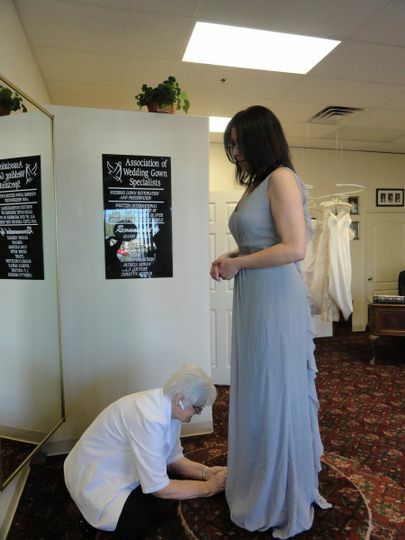 I was totally disorganised and needed my dress cleaned in a hurry. 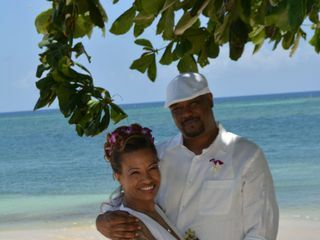 I found them online, called and within an hour they had collected my dress from the concierge at my hotel. When I collected it two days later it was beautifully wrapped and protected for my drive to Sedona where I was getting married. That was an extra touch that I didn’t expect but I was very grateful for it! Pricing was reasonable. We love Village East Cleaners!!! We have recommended many brides to them. 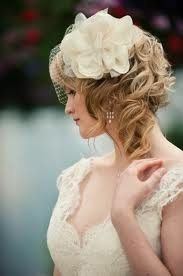 Our brides always tell us what a wonderful job they did!!! Monday-Saturday - 7a.m. to 7p.m. Sunday 10a.m. - 3p.m.